Wonder Woman has got me walking around with my head held high, looking for things in which I believe. Meanwhile, news commentators are on a roll, complaining that I, and those who share my politics, are not “for” anything. We, the resistance, are merely opposed to the current administration, they claim. They seem to love to say it, as though it makes them sound wise. I’ve already done posts on my other blogs about how my beliefs in the importance of tolerance and kindness determine who I vote for and how I behave. Today, I’m thinking about the G19 and the sad embarrassment of the U.S. being the only major country to bow out of the Paris agreement. (It was supposed to be the G20, but we were the odd man out.) Where does this fit into my beliefs? I once taught a class in ethics, and the textbook we used has shaped my outlook. 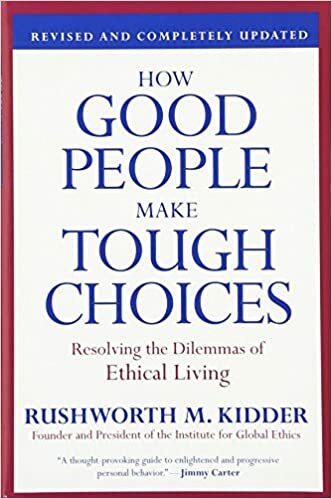 It’s called “How Good People make Tough Choices” and it postulates four types of dilemmas in which reasonable, moral people might make different choices. It tries to pull out universal principals that we can all agree on and to remove discussion on matters of taste or preference. It is a wise book. Most people have a tendency to go one direction or the other when they are confronted with ethical quandaries that fall under the same umbrella. For example, some people consider justice to be, on the whole, more important than mercy. When all else is equal, I come down firmly on the side of mercy. It is one of my core beliefs. However, all reasonable people will switch away from their default choice when the situation is clearly lopsided. The “umbrella” that matters when it comes to climate change is called short term versus long term thinking. If you are trapped in a small space and cannot breathe, caring about the short term becomes extremely important, for everyone. When discussion planning for retirement, however, we all switch into long term mode. It seems to me that my nation’s policies have become skewed too far towards providing short term rewards, at the expense of long term gains. So, I’m fighting for more of a long term vision for everyone’s sake. It’s not about what anybody deserves. It’s all about what I believe. Kill free meat: the future is coming? A few years ago I ended up on a Pop Sugar Fitness email list by virtue of downloading a workout video. The articles were short and often interesting, enough so that I was willing to ignore the others with headlines like “28 Healthy Zucchini Recipes” and “The Best Gym Bags by Personality Type.” (I did not make either of these up.) Then the other day I saw this. So. There it was. The giant blob of factory grown chicken flesh from “The Space Merchants” (and how many other novels) in which human hunger is finally assuaged by scientists figuring out how to grow meat without bothering with the rest of the animal. Two things popped into my mind right away. One, I’m surprised it has taken this long. Given claims of all we have done with modified food and genetic engineering, this doesn’t seem like a giant leap from current technology. The other is that this makes sense. It’s more humane, possibly more healthy, probably more ecological, and certainly more efficient. And yet it is somehow totally creepy. Who wants to eat a slice of animal part grown in a lab? On the other hand, why is eating a slice of an animal that once was alive any less creepy? To the credit of Pop Sugar, they got that this technique would meet with both praise and disgust and asked for readers to weigh in with their opinions. Want to to speak up? Leave a comment at their site and feel free to leave it here as well. The potential reality of factory-grown blobs of animal flesh reminded me that every day we do wake up in the future. And every so often, we’re just not entirely sure how we feel about it.